With loads of my friends and work colleagues who are pregnant at the moment, I thought I had better stock up on some baby cards. Not knowing if they are having a boy or a girl, I thought I had better do a few of each!!!! I just love this cute Happy Heart embossing folder, so needed to include some on my baby cards. I have used the colours Crisp Cantaloupe, Calypso Coral and Real Red along with some of the Stacked With Love DSP. I stamped the jumpsuit with one of the images from Something For Baby, and die cut it with the coordinating Baby’s First Framelits. These two products can be purchased as a bundle saving you 15%. I added a heart punched from some Real Red Core’dinations card stock using the Itty Bitty Accents punch pack. Be sure to decorate the inside panel of your card and even the envelope! I would love you to comment below with your thoughts on this creation. Be sure to place your online order today and for every $90 that you spend, you can choose 1 Sale-a-bration item FREE. So if you spend $180, you choose 2 items for FREE, etc. All Catalogues, Clearance Rack & Weekly Deals are available online here! 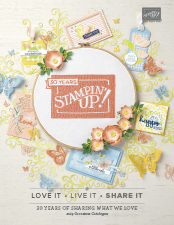 They are full of amazing new products and wonderful inspiration. 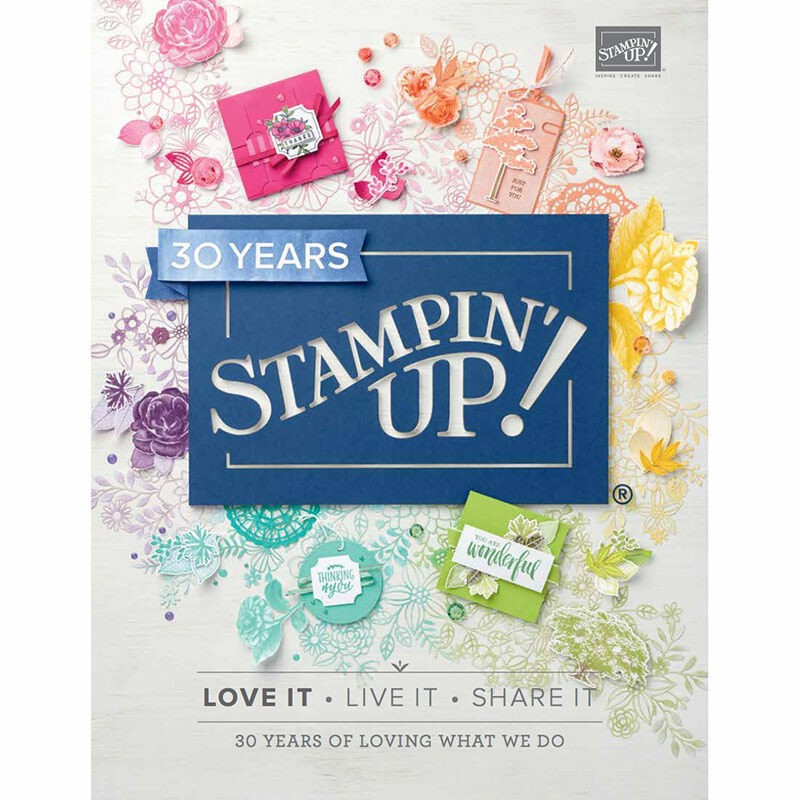 It is a must have for anyone interested in Ink, Paper and Stamps! Tagged Baby Girl, Baby's First Framelits, Feminine, Handmade Baby Card, Happy Hearts TIEF, itty bitty accents punch pack, Something for Baby, Stacked With Love, Stampin' Up!